As it turns out, after five years of baking collaboration, my sourdough starter Elvira should definitely have given me “sourdough hands“: by now, the microbes living on the skin of my hands should include several guests coming from it. That’s what ecologists Rob Dunn and Anne Madden have recently found out. 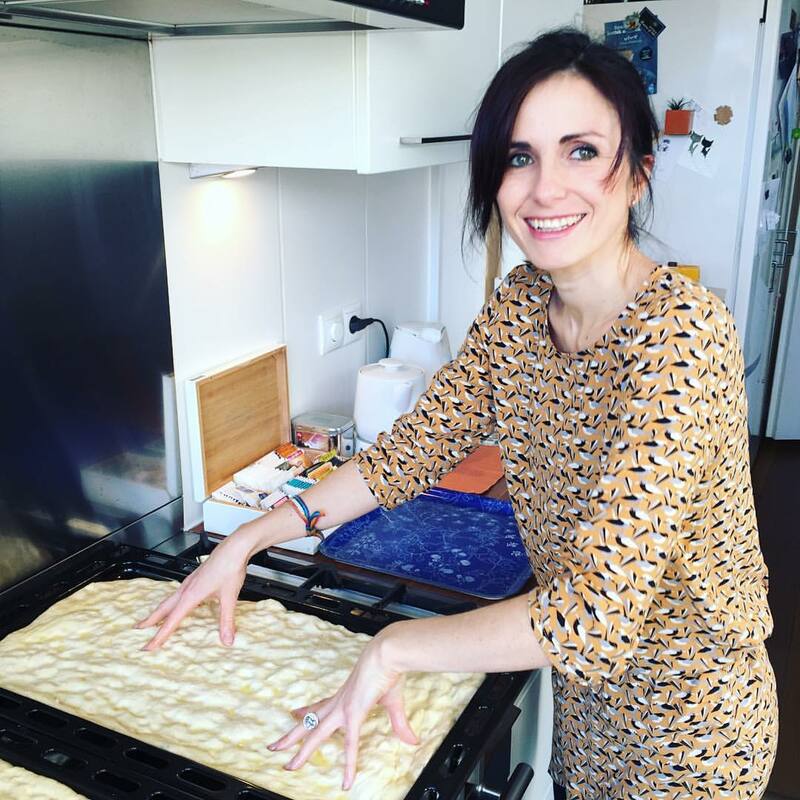 They conducted a study in collaboration with the Center for Bread Flavour in Saint-Vith, Belgium, a research department within the multinational Puratos, home of a Sourdough Library since 2014. Sourdough baking becomes part of you, literally: hand swabs taken on a sample of sourdough bakers have shown a microbial exchange between the baker and the colony of bacteria and yeasts that the starter is made of. While each baker gives something of themselves to the starter and consequently to the flavour of what they bake with it, it is also true that the microbes from their starter changes them, or at least their own microbes… which is more or less the same. The body of a single person carries about 100 trillions of microorganisms at all times. Let it sink in: it is not a typo, and I really meant 100 trillions. It’s more than the total number of cells composing our body. After all, it’s not that straightforward to say where you end and your microbes begin. They make up a population that’s collectively known as human microbiota and can differ significantly between one individual and the next. One might say that our bacteria make us unique. In fact, in recent years scientists have started to say exactly that. Although they don’t work the same as fingerprints, as they evolve throughout our lives, our microbiotas tell a story that’s only ours. Multiple studies have shown that the microbes crawling on and inside us play a big role in essential aspects of our life: the way we adapt to our environment, our immune response, the way we smell, the way we digest and metabolize our food, and even our taste and preferences. Our love life makes no exception, with microbes having been proved to influence the choice of our partners – even mixing and changing according to who we choose. What we call “chemistry” has, in fact, a lot to do with our microbiology. One could say that we communicate with our environment and those living with us at a microbial level. We shred millions of bacteria every hour, scattering around something that has a lot to say about us, at least biologically. I’m no scientist, but when I read about Dunn&Madden’s research I couldn’t help fantasising about the possible consequences of the microbial exchange between bakers and their sourdough. What if – similarly to what we experience when we feel a drive towards the smell of a particular lover or the taste of someone we consider a good kisser – we were stimulated by our own microorganisms to go back to the complex of microorganisms living in our sourdough? I wouldn’t be surprised if, as technology and scientific exploration progresses, scientists would prove this sci-fi intuition of mine and show how sourdough can affect bakers’ behaviour, and provide a scientific explanation of the bond between a baker and their starter. Until that happens, I can only support my thesis with anecdotal evidence. Here comes some. Two of the most challenging items that a sourdough hobbyist can set out to bake are the Italian Christmas sweetbreads panettone and pandoro. The making of these festive classics is extremely hard to get right, because of the long and repeated leavenings required in their production. It takes about two days, multiple rounds of kneading, the right flour (one that’s technically suitable to support such long rising time) and a very powerful sourdough starter to create a pandoro or panettone with the right structure and texture. To keep the starter strong enough for these recipes, you need to feed it at least once a day. Sourdough gives these sweetbreads – both rich in eggs and butter – a specific aroma, that continues developing after baking, over a minimum of 12 hours of “ripening”. And that’s one more thing to thank microbes for. 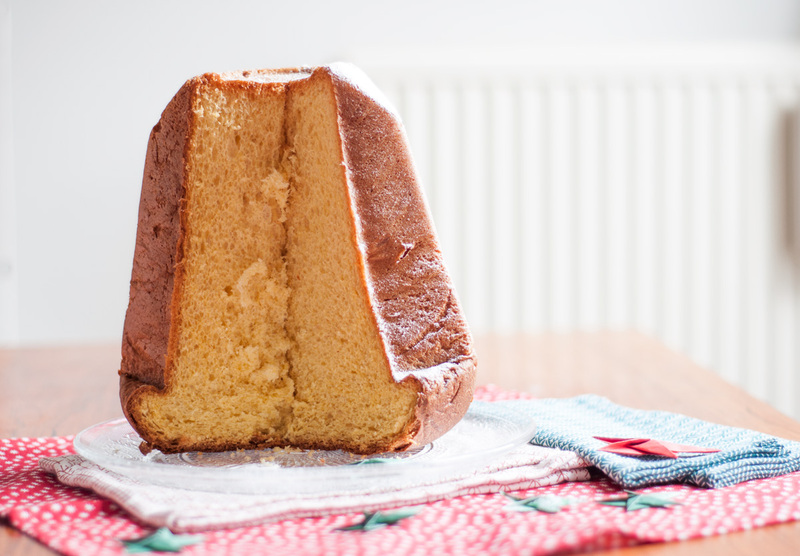 While panettone is associated with the Milan area, pandoro was officially invented in Verona, by Mr Domenico Melegatti, a pastry baker who modified an existing local recipe and gave it a name that literally means “gold bread”. The company he founded, Melegatti, became synonym with pandoro, but unfortunately went bankrupt in 2017. It shut its gates in the general dismay, laying off about 350 employees. Meanwhile, with a huge solidarity campaign, many consumers chose to eat Melegatti’s pandoro last Christmas, to support the company. Eventually, the property of Melegatti changed, and its factory finally resumed production this late November, in view of Christmas 2018. The answer made the Italian news. While the Melegatti factory was closed due to the company’s financial troubles, two long-time ex-employees, Matteo Peraro and Davide Stupazzoni, took turns to visit the deserted building in which the precious ingredient was stored. Despite not being paid nor obliged, the loyal workers kept feeding it every single day, to keep it at pandoro-baking standards. Appearing on national television in white coats, holding a basket with the 1kg ancient sourdough starter, Peraro and Stupazzoni got emotional. They told journalists how symbolic the starter was to the whole community of employees, and how “passionate while touching the dough” (sic) they felt. When I heard those words, I couldn’t help thinking of the microbial symbiosis between their hands and the historic Melegatti starter. Was it work ethics, loyalty, dedication, or “microbial romance” that moved Peraro and Stupazzoni? What’s for sure, thanks to them, the Melegatti plant, which has just employed 35 people from the old company workforce, will be baking pandoro again, with the same signature taste as ever. Previous PostSourdough Bread: Your First Recipe. Next PostStruffoli, a Neapolitan Christmas Special.